​The state of North Carolina has many native plants and flowers that remain hardy, vibrant, and thrives in our rich soil. However, not every homeowner knows the best ways to care for them. Whether you lack the free time necessary to apply your green thumb to your yards or you simply can’t keep your plants growing, there are plenty of reasons why you would want to hire local landscaping Raleigh, NC contractors. When there are too many companies to choose from, how can you be sure that you’re hiring the right team? Between expensive monthly fees and inexperienced service providers, finding quality Raleigh landscaping professionals is no simple task. When you choose the Landscape Pros of Raleigh, however, it means saving more on complete yard care solutions, keeping your lawns growing better for less on every visit. When you need a better value of landscaping and experienced technicians, you need us for your home today. ​How many times have you hired a landscaping contractor, and they offered little more than weekly grass cutting? Although that saves you time over the weekend, it doesn’t justify the rates that they charge. Instead, we provide comprehensive lawn care services that maintain your yards, as well as promotes a better growing environment and healthier plants. When you need to improve your curb appeal and create a lusher yard, you need our experienced contractors aiding your home. And more professional landscaping services. Whatever you need to keep your lawns looking their best, we have the ideal solutions each time. Call us today for your best choice in landscaping Raleigh NC service providers. Many homeowners don’t enjoy the layout of their yards. Either it’s full of plants that they don’t like the appearance of, they find themselves allergic to them, or it’s an irregularly shaped outdoor area, there are many things that you can dislike about your lawns. However, what many residents don’t know is that you don’t have to continue living with plants that you don’t prefer. Our landscape designers work with you to discuss your needs, and then we get to work crafting your perfect lawns. Whether you need a total renovation of your yard or merely a few additional design touches, we provide everything you need for your ideal yards. By adding new hardscaped, flowers, and other landscaping items, you can breathe new life into an old, outdated yard quickly. Attempting to overhaul your landscaping by yourself would cost a fortune, and you likely don’t have the necessary time to give to your project. Instead, save a ton of time and money on a beautiful new yard for your home today. When you're looking for landscaping Raleigh, NC, look for The Landscape Pros Of Raleigh. ​The city of Raleigh, NC remains located in our state’s Piedmont Region, meaning that your yard likely has Cecil Soil. This state soil is chock full of nutrients that your plants love, as do many of our cash crops. Unfortunately, good soil also helps spur weed growth, making them challenging to contend with week after week. And if it’s the rainy season, you can be sure that you will have an outbreak throughout your lawns. ​Our team provides fast and convenient weed control and removal services, assisting you in keeping your yards safer for less. You never need to worry about the plants you want to keep remaining healthy when we are supporting your yards. When you don’t have time to pull out weeds every week, you need the convenient and affordable local landscapers to do it for you. Enjoy more of your weekends again and choose us for all your weed control needs today. Are you having trouble getting the look that you envision? Give us a call, we'll make your vision a reality! Who doesn’t love watching the leaves of plants and trees turning red, yellow, and brown during the autumn season? Once the leaves start to drop, you know that the end of the year is right around the corner. In the meantime, however, all of those fallen leaves have to go somewhere. 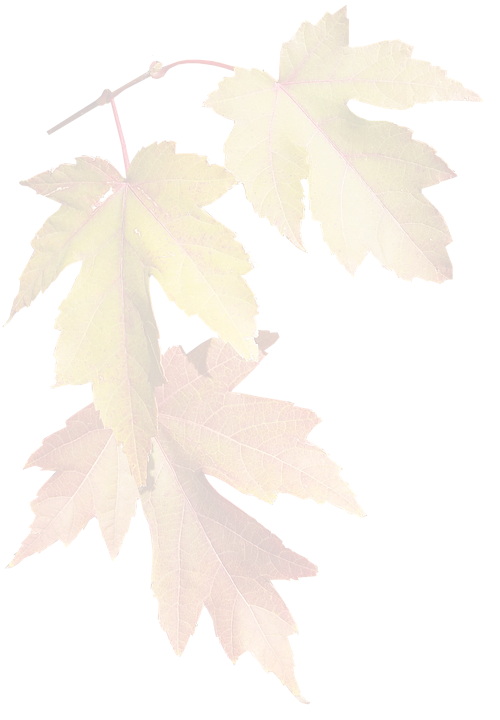 Once they have dropped from your trees, it creates heaps of loose, dead leaves that take away from your yard’s appearance. Raking leaves is an inefficient use of your time, as well as a quick way to develop blisters. And disposing of leaves is no simple task, especially when your trash cans are already overflowing. Instead, you can have us remove all of your yard’s leaves, offering you a faster, more convenient way to enjoy your lawns in autumn. If you are tired of shoving them from one end of your yard to the other, choose The Landscape Pros of Raleigh for the best leaf removal service around. ​Many homeowners grow bored of the original plants that live in their lawns. Unfortunately, installing new plants is rarely as easy as most people believe it to be, and many things can go wrong. Some homeowners think that Mother Nature will do most of the hard work, but that often leads to hundreds of dollars wasted on plants that die quickly. When you need the peace of mind that you’re getting your money’s worth with your new flowers, grass, bushes, and trees, it takes experienced Raleigh landscaping professionals to help you. We correctly install more types of plants for your yard, as well as provide expert tips on how to keep them looking their best. Whether you are updating your yard to a specific theme or yard environment, we can help tie it all together. Don’t allow simple mistakes to ruin your brand-new plants again by having a better installation service provider. Call today for your new plant installations and save on expert landscaping technicians. Custom plant containers are a simple way to add a lot of personality and value to your outdoor areas. We can craft a planter box that best suits your aesthetic needs, as well as promotes improved growing conditions for whatever it holds. Whether you are looking for a patio herb garden or need to prevent erosion around trees, our custom containers remain the best solution for you. Unlike cheap plastic plant pots, custom containers are durable and will stay useful for years. We can craft your unique plant containers from brick, wood, metal, and other preferred materials, giving you the options that retail stores can’t. When you need plant containers that are uniquely yours, look no further than us. You don’t need to buy an expensive store planter that you dislike. Instead, allow us to create your custom planter boxes today. This is an excellent way to accent your Raleigh Landscaping! When plants become droopy and have yellowed leaves, it can get challenging to diagnose what is causing its health issues. Many plant symptoms are similar to others, and any source of strain can cause it harm. Thankfully, fertilization is a frequent need for many yards and one that we specialize in offering to you. Many pre-bagged fertilizing agents contain harmful chemicals, and some have the opposite effect of what you wanted to see. Instead, we take a more natural approach to providing your plants with the level of nutrition that they need for continued healthy growth. Whether your grass isn’t growing as fast as it should, or your bushes aren’t blooming this season, we have the nutrients they need the most. You can’t risk using generic packaged fertilizers, especially if you are unsure of how your plants will react. Give them the safer source of landscape fertilization with us today. Call today and get your Raleigh Landscaping looking healthy and beautiful! What many residents might not be aware of is that much of the items that they struggle with have the same simple solution. Whether you have weeds that keep coming back, hordes of pests, or plants that get overly hot in the sun, mulching can help you with it all. Mulching takes ground up chips of wood and shields the roots and base of your plants from harm. As a result, less heat from the sun penetrates through, and weeds and bugs are often not strong enough to push through them. With one straightforward application, you can protect your favored plants from more daily hazards, allowing them to reach their fullest growth potential. Best of all, mulch is an organic application which also feeds plants nutrition as it breaks down. Freshly mulched products are always better than bagged versions that have sat on shelves for months. Give your plants the fresher, better protection they deserve today. Our team remains the local choice in experienced landscaping contractors. When you need the best mix of value, quality, and experience, we are your trusted choice in complete lawn care services. Call today to give your yards the dedicated care it deserves. Choose The Landscape Pros of Raleigh for all of your yard care service needs.